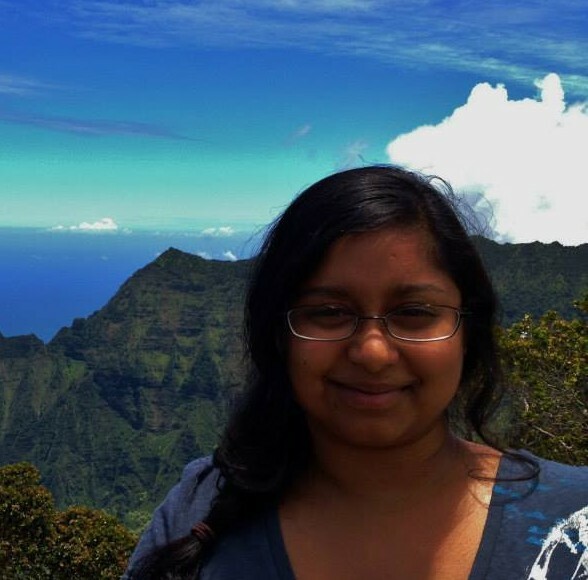 Soha is a graduate student at the University of Arizona working in the lab of Dr. Robert Norwood. His interests in optics originally began with astronomy, later bringing him to physics and then optics. 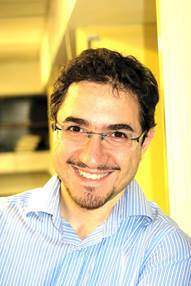 His research involves seeking novel materials to improve functionalities for photonic devices. He has been very active in CIAN and now helps his fellow CIAN students as the Chair of the Student Leadership Council. 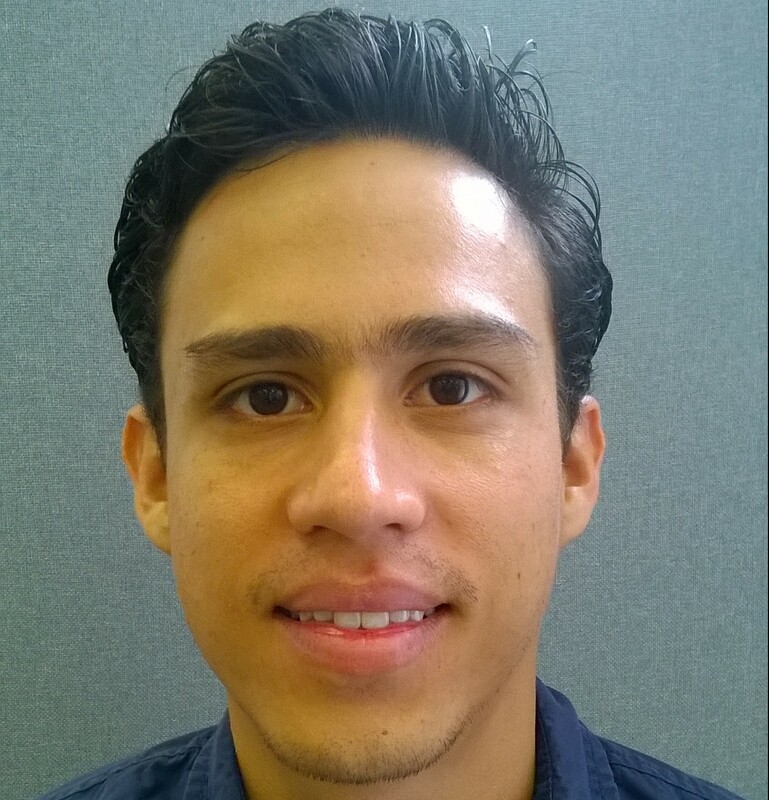 Oscar is pursuing his Ph.D. in Electrical Engineering in the Lipson Nanophotonics Group at Columbia University. He is working on finding new solutions for robust packaging and coupling between fibers and waveguides. Oscar serves as the Vice-Chair of the Student Leadership Council. 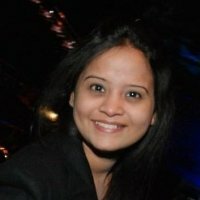 Mariya has her bachelor’s degree in electrical engineering from the University of Mumbai, India and Master’s degree in Electrical and Computer Engineering from the University of Arizona. She is currently pursuing her Ph.D. in Electrical Engineering at the University of Arizona and is working as a research assistant with CIAN in the optical sciences department under Dr Dan Kilper. She represents the CIAN students to industry as the Student Industry Liaison Officer. Aseema is a Ph.D. student studying electrical engineering in Professor Michal Lipson’s group at Columbia University. She is currently developing on-chip mode multiplexing photonic platforms for quantum interference and optogenetics applications. She is pursuing more opportunities for K-14 STEM outreach and education opportunities for CIAN students. 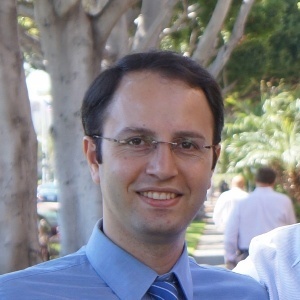 Morteza is pursuing his Ph.D. in Electrical Engineering, Optical Communication Systems, at USC. As a member of Prof. Alan Willner’s group, he’s been involved in different optical communication systems projects. His research is focused on coherent optical transmission systems, and optical signal processing toward high capacity optical networks. To achieve his research goals, he’s done extensive system design and analysis, and experimental demonstrations. He’s also presented his work in different conferences and published them in journal articles. Adair is working on his Ph.d. in Electrical Engineering at Berkeley, where he works for Prof. Connie Chang Hasnain. 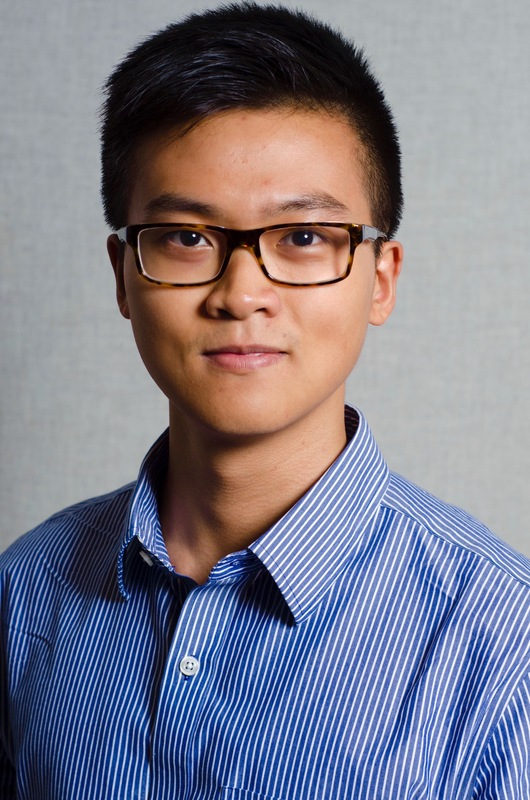 His research focuses on simulation and fabrication of VCSEL lasers, and integrating those lasers with Silicon photonics chips produced by other CIAN groups. Yishen received his B.S. degree in Engineering Physics from Queen’s University in Kingston, Canada in 2015 as a Chancellor’s Scholar and a Dean’s Scholar. He completed internships with Ciena Networks and IBM prior to joining Lightwave Research Laboratory at Columbia University. Currently he is pursuing his M.S. and Ph.D at Columbia University, with interests in optical interconnects for High-Performance Computing and novel computer architectures. Steven is working on his B.S. degree in electrical engineering from Tuskegee University. 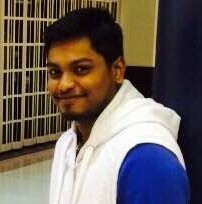 He is an undergraduate research assistant with Tuskegee University Microelectronics Lab under Dr. Naga Korivi. His reseach is nano textured surfaces for enhanced raman spectroscopy as well as the creation of flexible detectors fro the detection of pressure changes and UV radiation. 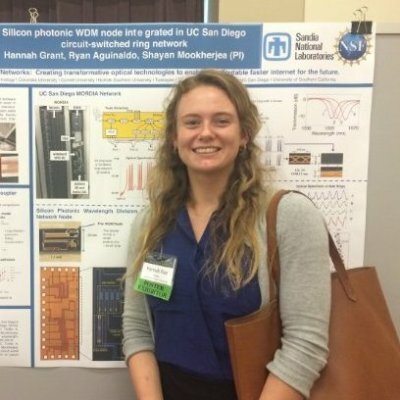 Hannah Grant is a 3rd year Ph.D. student at UC San Diego in electrical engineering with a focus in silicon photonics. Her current research is focusing on system level analysis of crosstalk on silicon photonics chips under George Papen. 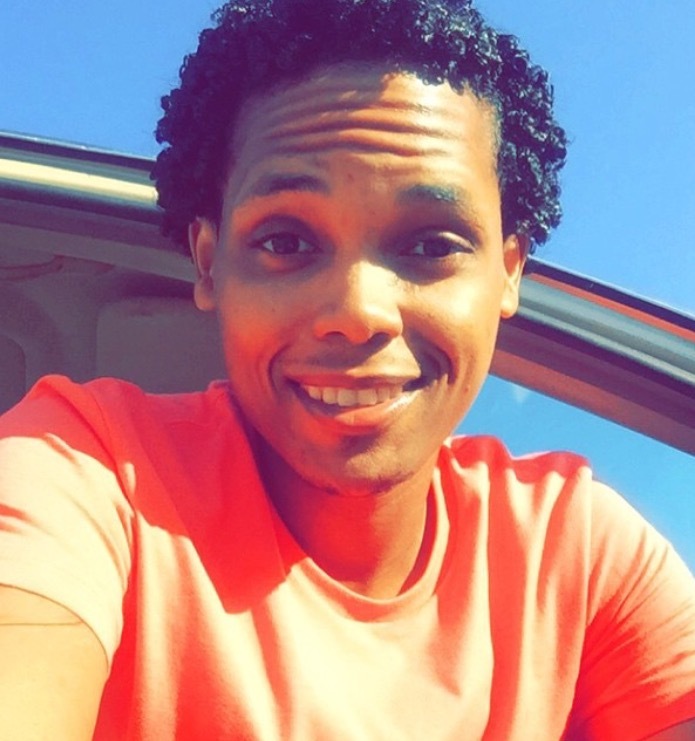 Pallav is a graduate student studying for his Ph.D. out of Norfolk State University under Dr.Demetris Geddis.